3 Simple Steps to Make Your Own Burger! ADD: Add ground meat of choice to the large patty mould. Make a well using the indent press. FILL: Fill with your favorite toppings such as onions, cheese, chillies, pickles, beans and more. COVER: Cover toppings with more ground meat to seal filling. PRESS: Press into shape using the large press. Remove any excess and release. 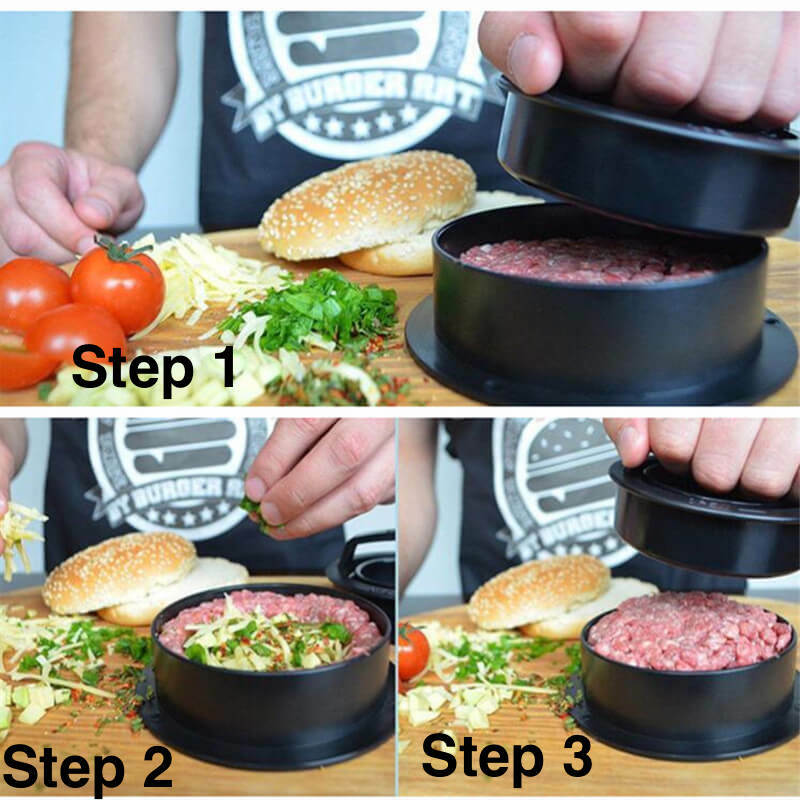 MAKE ANY BURGER YOU WANT: Make the best burger you’ve ever tasted with our Hirundo 1-2-3 Burger Press Patty Maker. 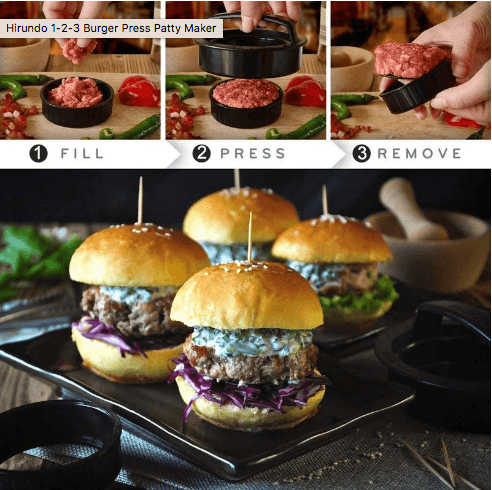 Whether you’re craving a melty cheese stuffed burger, a plate of perfect sliders or a good old fashioned regular patty, the world is your burger with this patty maker. PERFECT PATTIES EVERY-TIME: Beat the burger bulge out! Make big, fat, juicy hamburgers with consistent thickness and shape that cook evenly and won’t fall apart on the grill. Not all burgers are made equal - until now. 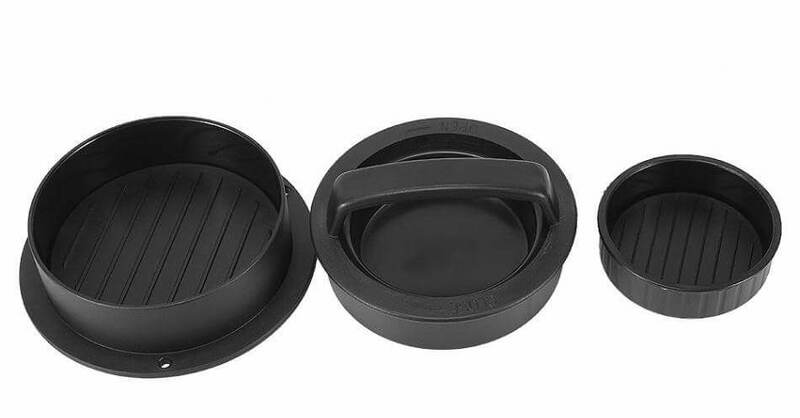 QUICK AND EASY CLEAN UP: Our burger press comes apart for easy cleaning. Simply toss in the dishwasher when you’re done. We couldn’t make it any easier if we tried. Now you can pour yourself another drink and bask in your culinary glory. MAKES PREPPING FOR BBQ AND GRILL OUTS EASY: Our burger press does exactly what it says. Just add your ingredients and press. The non-stick bottom pops out so you can remove your perfectly round, bun size burgers with ease and without mess. Maintain your reputation as barbecue grill master extraordinaire. 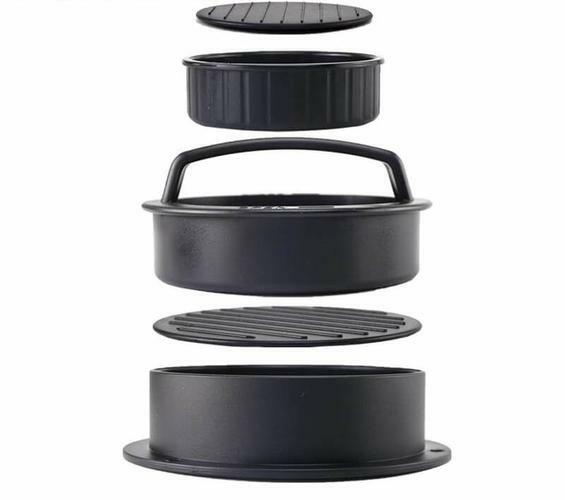 PREMIUM MATERIALS: Made of heavy duty durable BPA-free nonstick plastic material so you can make burger patties instead of a mess.